There are a handful of natural factors that can contribute to basement water damage, which involve elements outside of the home. These include the weather, the soil consistency of the yard, the position of the home in relation to the land’s natural slope and the amount of erosion around the home. Flooding and moisture are other reasons that basement water damage can occur. In cases that involve basement water damage, a certified technician from All Jersey Environmental Services will thoroughly examine the basement and measure the moisture content. The excess water will be removed from the basement. Once cleared, the basement will be vented and dried, so that any repairs can be made accordingly. 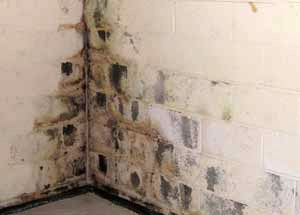 Basements are one of the most common areas to contain both water damage and mold. Basements often get flooded from cracks in the foundation, leaky pipes, frozen pipe bursts and clogged gutters.